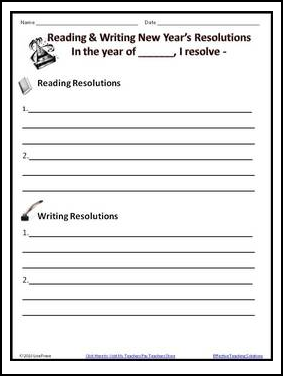 Start off the New Year by having your students make their resolutions for reading and writing! This one page file has lines for four resolutions (two for reading and two for writing). Follow me for a chance to win a $25 TPT gift certificate each month, plus an exclusive link to receive a product for FREE before it's uploaded to TPT as a paid product.